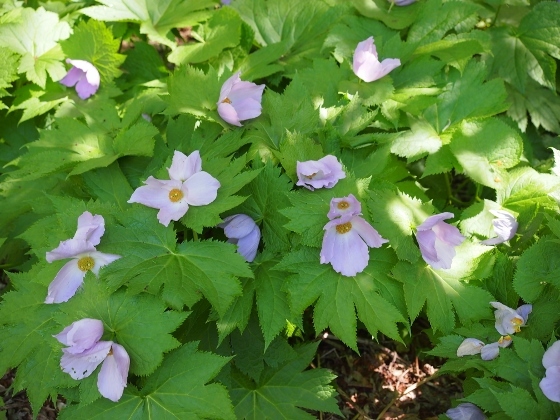 Photo above shows elegant light purple flowers of Glaucidium palmatum or Shiraneaoi in Japanese. The flowers were in full bloom at Mini-Oze Park, Hinoemata Village. Today, many alpine flowers were blooming at Mini-Oze Park where many flowers bloom a little earlier than Oze National Park itself due to altitude difference of about 600m. Visitors can enjoy watching them without climbing to the actual mountains. Some of the flowers today are shown below. 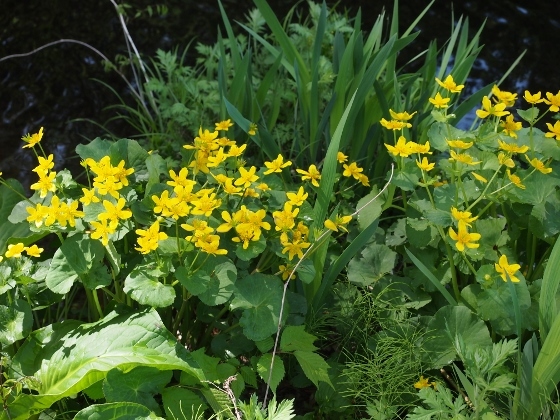 Photo shows yellow flowers of marsh marigold along wetland. 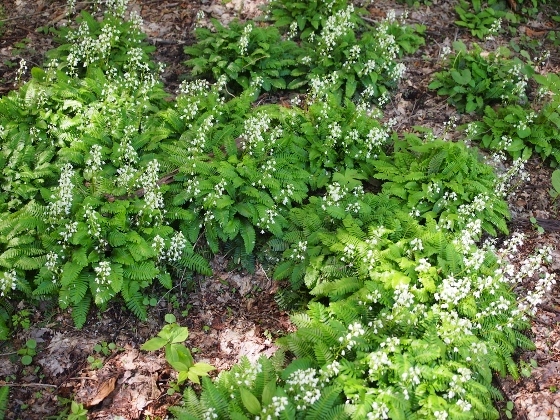 Photo shows Pteridophyllum racemosum or osabagusa in Japanese name. The main habitat of the plant is on Mt. Taishaku which is one of Mountains belong to Oze National Park. 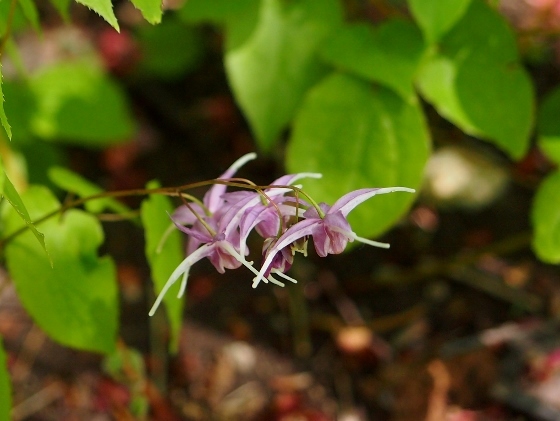 Photo shows Epimedium grandiflorum or Ikariso in Japanese. 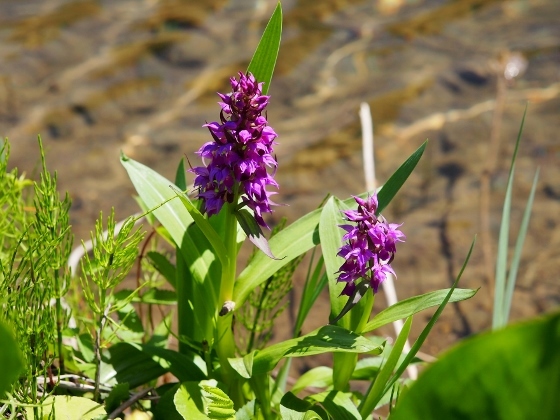 Photo shows Showy Orchis or Hakusanchidori in Japanese. 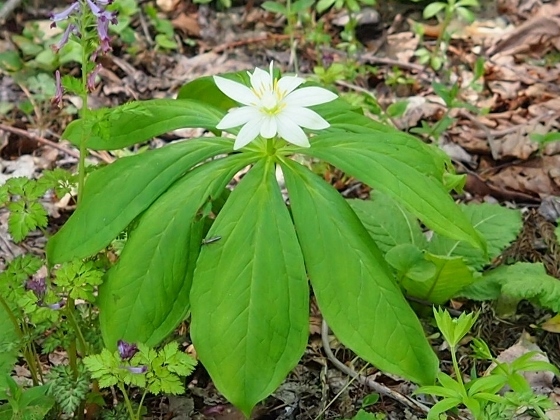 Photo shows Paris japonica or Kinugasaso in Japanese. The plant has just started to bloom and I could only find a few of them. The last one shows Menyanthes trifoliata or Mitsugashiwa in Japanese. 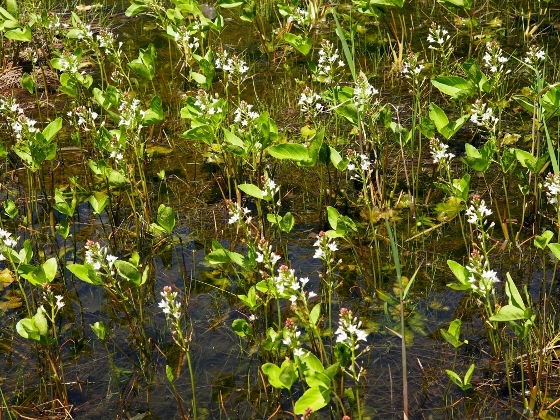 This plant also likes wetland. Mt. 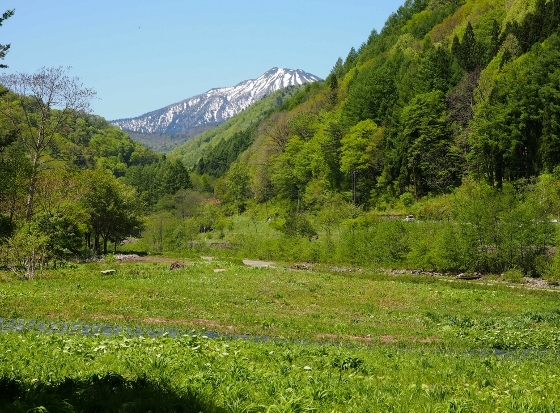 Hiuchigatake (2356m) which is the highest mountain north of Tohoku Region can be seen close from Mini-Oze Park as shown above. The location is shown in the map below. 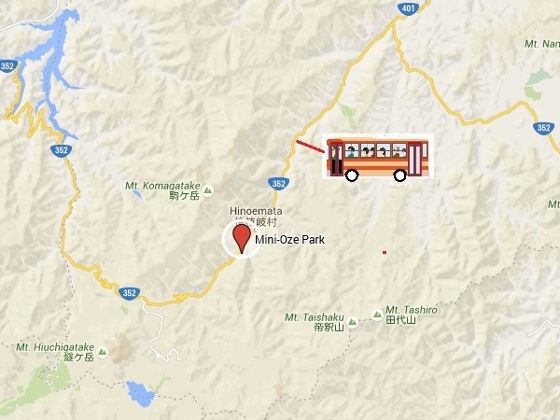 There is a bus stop in front of the park and the bus service is available either from Aizutajima or Aizukogen-Ozeguchi Station. I failed to record GPS trace today so there is none.